Exchange lets your users be more productive by helping them manage increasing volumes of communications across multiple devices and work together more effectively as teams. Give your users an intuitive, touch-enabled inbox experience. Get more done from anywhere with a clean, uncluttered inbox that focuses on the relevant and important information. Allow your users to work better together on teams and projects. Site mailboxes* let users collaborate on projects, get up to speed quickly on teams they join, and share information easily. Co-authoring, document storage, and versioning are provided by SharePoint, while messaging is handled by Exchange, for a complete user experience, including document access. 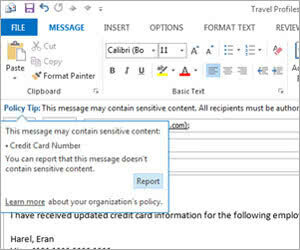 Customize Exchange by integrating web-based apps for Outlook and Outlook Web App. Help your users spend less time switching between apps and make their communications experience more powerful with an extension model that allows you to provide easy plug-in access to web-based apps within both Outlook and Outlook Web App. With single sign-on to multiple apps, you can reduce complexity for users and give them secure, authorized access for each approved application. ISOMEDIA’s hosted Exchange 2013 offers exciting new features that improve the way you do business. This includes a simplified calendar interface, integration with LinkedIn and Facebook, email extensibility for embedded maps and more. A more intuitive calendar with improved scheduling. Exchange 2013 simplifies composing and scheduling meetings. It includes a new month view and agenda view in Outlook Web App (OWA). It also optimizes its layout for tablet and mobile usage. Managing and sending email in OWA is more efficient than it has ever been. Inline compose allows users to quickly compose and send messages without popping out a window. Improved draft management. Forgotten Attachment Detector. Drag-and-drop of files from the desktop to the compose form. Quick delete button. The ability to filter email according to whether they’re unread, flagged, or have your name in the to-line has been promoted to the top level of the UI for easier discoverability. Meeting scheduling is easier than ever. Like Outlook, OWA now supports simple entry of calendar items and to-do’s by typing right on the calendar. Users get quick, glance-able day and item “peeks”. Unified contacts with People cards. Now you can combine your address books with your social contacts from LinkedIn, Facebook and other services. This consolidates all your connections to enable fast searching, phonetic search, nickname search and more—all with consolidated search results. You can see contact availability information as well as sort your Favorite People for easy access. Email extensibility makes messages come alive Plug-in web apps like Bing Maps and LinkedIn make emails more impactful and productive by embedding services that are otherwise a few clicks away. Microsoft is even introducing a marketplace to allow users and administrators to add apps and boost the value of every email they send. Exchange is a quantum leap from basic POP or IMAP email, which is most suited for home and personal use, and makes your team much more productive through constant access to email, shared calendars and contacts. Lync 2013 synchronizes your contacts, your communications channels and your availability information into a powerful productivity catalyst. Improvements to usability. 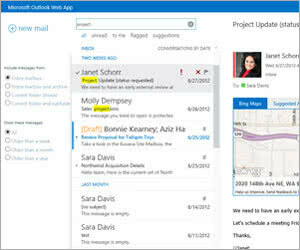 With Lync 2013, it’s easier than ever to connect and collaborate with your colleagues, partners and customers. A new hover bar allows for one-click interactions. And tabbed conversations let you manage multiple simultaneous chats with pop-out/pop-in functionality. New video features add richness to chat. Sometimes talking face-to-face is more effective than typing. Lync simplifies the process of switching from a text chat into a video chat. Now you can preview your video feed before it goes live to make sure you’re presenting your best face to the world. Online meetings extend your availability. You don’t have to be in the same location to get in the same room. Lync 2013’s meeting features let you gather colleagues for text, voice or video chat. With a variety of layout views—including a new gallery view—you can join meetings from any calendar reminder with just one click. With the Lync Web App, attendees don’t even need to have any software preinstalled. Use Exchange to protect business communication and sensitive information in order to meet internal and regulatory compliance. Call 1-866-838-4389 and an ISOMEDIA Sales Representative will assist you in signing up for the right Hosted Exchange Email package today.